Victoria’s population is among the fastest growing and most multicultural in Australia, forged by successive waves of immigration. Victoria’s greatest assets are its open, accepting and diverse society. By international comparisons, Victoria is one of the world’s most successful and cohesive multicultural nations and is frequently recognised as one of the world’s most liveable cities. Figures from the 2016 census showed that more than one in four Victorians reported being born overseas and nearly half (49%) of all Australians Victorians were either born outside Australia or had at least one parent born outside Australia. People from all over the world have chosen to make Victoria their home, bringing with them their experience, their heritage and their culture. While Victoria enjoys general support for multiculturalism and relatively strong social cohesion, there continues to be challenges in addressing right wing, left wing and Islamist extremism. Victoria is not immune to global events and discourses that seek to divide people. In acknowledging the benefits of diversity and addressing the challenges of maintaining cohesion, Victoria emphasises a commitment to shared values. 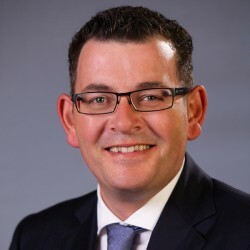 It is a clearly articulated expectation that Victorians will commit to values such as freedom, fairness, equality before the law and respect for all; and that its community will benefit from strong cohesion and future prosperity as a consequence. Victoria has also developed a Strategic Framework to Strengthen Victoria’s Social Cohesion and the Resilience of its Communities, to guide its PVE work. The Strategic Framework is careful to distinguish PVE from law enforcement, and to avoid the securitisation of communities or social policy. In Victoria, PVE is overseen by a Taskforce chaired by the Deputy Premier and including the Ministers for Multicultural Affairs, Youth and Families, Education and Police. The Ministerial Taskforce, and supported by a central agency with overall social policy responsibility, to ensure whole-of-government buy-in and implementation. The conceptual framework has set guiding principles of respect, shared responsibility between government and civil society, co-design, evidence-based decisions, and being concerned with the wellbeing of all Victorians. These principles have informed funding decisions and facilitated a holistic approach to a complex problem. Victoria is a founding member of the SCN. Australia is a federation of six states and two mainland territories, with three tiers of government, comprising national, state/territory and local. The national, state and territory governments work closely together under a national framework approach to prevent and counter violent extremism (PVE and CVE). Formal cooperation mechanisms include an overarching national committee and working groups addressing particular PVE and CVE priorities which enable the sharing of information, resources and expertise. At the same time, under our federal structure, each level of government is able to adopt and implement approaches to PVE and CVE that meet local needs and priorities. The Commonwealth Government of Australia has overarching portfolio responsibility for national social, economic, environment and infrastructure policies, and has sole responsibility for foreign policy, defence and immigration. It shares national security responsibilities with states and territories. Australia’s Counter-Terrorism Strategy 2015 recognises the critical importance of prevention, including challenging terrorist propaganda, to support our efforts in reducing the risk of terrorism. Protect Australians by addressing the factors and conditions that increase vulnerability to violent extremism within communities. Challenge violent extremist ideologies, especially online. Increase awareness within its communities and a range of frontline officials (such as schools, police, health professionals, prison staff) to identify and support individuals at risk of radicalisation to violence. Divert Australians at risk of violent extremism through programmes that that support disengagement and early intervention, rehabilitation and reintegration. As a state of Australia, Victoria has legislative powers over matters that occur within the state, including police, hospitals, education and transport. In relation to PVE and CVE, Victoria develops and implements its own policies, structures and approaches that complement the national framework, while operating under its own Strategic Framework to Strengthen Victoria's Social Cohesion and the Resilience of its Communities. 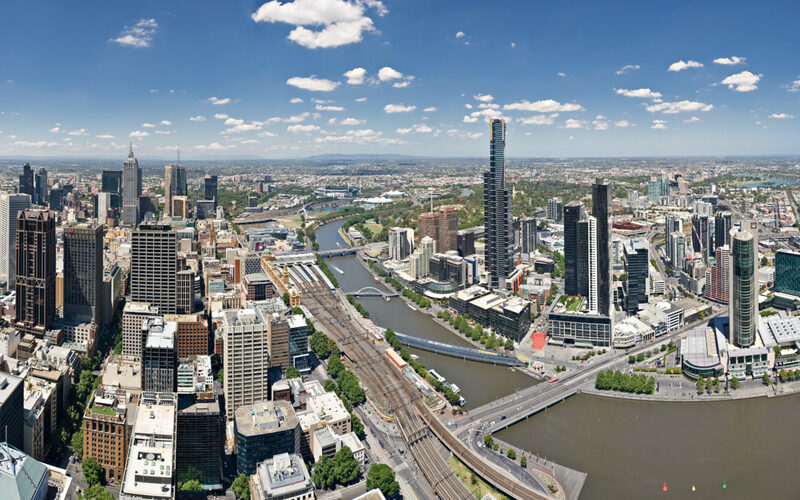 As Victoria’s capital city, Melbourne is a fast-growing, highly diverse city and home to over 4 million people. Greater Melbourne is a sprawling city covering 31 separate municipalities. It has cultural precincts that are home to specific cultural communities, but greater Melbourne is also characterised by strong diversity within municipalities. For example, Greater Dandenong is home to people from 157 different birth countries, where more than half of all residents were born outside Australia and more than 70% of people speak a language other than English. Melbourne is one of the 100 Resilient Cities, and has been recognised as one of the world’s most liveable cities. Consistent with the principles laid out in the Strategic Framework to Strengthen Victoria’s Social Cohesion and the Resilience of its Communities, the Victorian Government works hard to build and apply a strong evidence base, to maintain trusting and respectful relationships with communities and to make innovative use of technology in addressing this challenge. Under this framework, and under the direction of the Ministerial Taskforce, a wide suite of complementary PVE activities have been undertaken across several government portfolios. Initiatives to promote community resilience and prevent violent extremism in Victoria are strongly place-based. Different municipalities, regions and neighbourhoods have different strengths and needs, and interventions and supports are tailored accordingly. Resources are also prioritised to address the underlying factors which make people vulnerable to being drawn to violent extremism. PVE grants and activities may connect at-risk individuals with community-based employment, education, drug and alcohol services, sporting, mental health and youth leadership services. Victoria has complemented its PVE activities with mainstream communications and community engagement activities to promote an inclusive sense of pride in being Victorian. Victoria has established a virtual research institute focused on P/CVE. It provides research grants to ensure the best evidence is available and promotes collaboration between researchers, policymakers and practitioners. Victoria has provided a range of community grants and other supports to amplify the efforts of faith, cultural and place-based communities to promote community resilience and social cohesion and to prevent violent extremism.